On March 11, the White House released the first part of its Fiscal Year 2020 Budget entitled, “A Budget for a Better America; Promises Kept. Taxpayers First,” outlining the Trump Administration’s priorities and funding recommendations for the next fiscal year. More than 100 funds have been launched to invest in designated Opportunity Zones, according to NCSHA’s latest Opportunity Zone Fund Directory. The 105 funds in the current directory represent nearly $24 billion in anticipated investment. Funds range in size from $1 million to $3 billion, with an average fund size of approximately $225 million. The Consumer Financial Protection Bureau earlier today released an Advance Notice of Proposed Rulemaking soliciting information on Property Assessed Clean Energy (PACE) loans. The Federal Housing Finance Agency earlier today released a final rule requiring the government-sponsored enterprises Fannie Mae and Freddie Mac to align their policies and procedures that could impact the prepayment speeds of their mortgage-backed securities in the to-be-announced market. 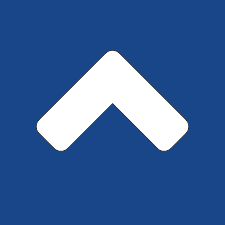 On February 26, the Internal Revenue Service (IRS) issued final regulations for Housing Credit compliance monitoring, which replace the temporary compliance monitoring regulations under which Credit agencies have been operating since 2016. The new regulations make several significant changes to compliance monitoring requirements, including in some cases increasing the number of units in a property that Credit agencies will need to monitor. The Senate Banking Committee earlier today voted to favorably report to the full Senate the nomination of Dr. Mark Calabria to serve as Director of the Federal Housing Finance Agency. Calabria’s nomination was advanced on a party-line vote of 13-12, with all Republicans voting in support and Democrats unanimously opposed. Last week, Congress and the White House reached a final deal to fund the nine federal agencies without full-year spending, including HUD and USDA, for the remainder of Fiscal Year (FY 2019), thus averting another government shutdown. 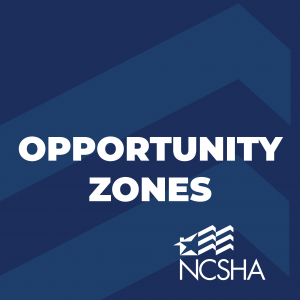 NCSHA released an updated edition of its Opportunity Zone Fund Directory today, providing details on 89 Qualified Opportunity Funds planning to invest in designated Opportunity Zones. The latest edition of the directory includes 17 new funds and details on each fund’s management, organization, size, investment focus, and geographic focus. The Senate Banking Committee yesterday held a hearing on the nomination of Mark Calabria to serve as director of the Federal Housing Finance Agency.